The healthcare industry is consistently lagging in digital and inbound marketing, and one of the reasons may be the big fear of violating HIPAA. 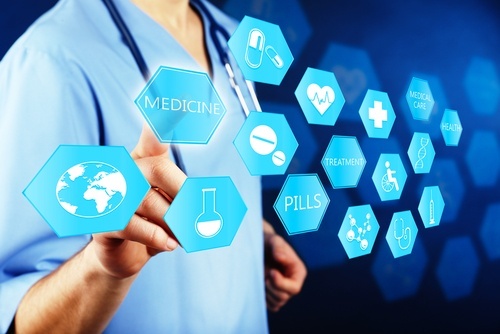 The Health insurance Portability and Accountability Act dictates all technology your organization uses to hold patient health information must be HIPAA-compliant, leaving you with a rather limited selection of software platforms to use at all. Or so you think. While you may not be able to store patient health information in platforms that aren’t HIPAA-compliant, you can still use them for marketing, sales and customer relationship management. That means as long as you’re careful, your healthcare organization can take full advantage of the top freemium website inbound marketing tools and resources available from inbound leader HubSpot. When leads submit a form, HubSpot automatically pulls in additional information on that lead from across the web, such as social profiles and job title. You then get a detailed snapshot of your new leads, along with pages they viewed before and after they filled out a form. Quickly create custom forms that automatically connect contacts to your database. Drag and drop the questions you want to ask, choose from a variety of fields, and then embed the forms on landing pages or other areas of your site. Lead flows let you set up a path for you lead to follow once he or she takes the initial action, such as guiding them from a landing page to a thank you page after they’ve submitted a form. HubSpot relies on user-friendly pop-up forms that require no code to create. One you get prospective patients’ attention with HubSpot Marketing Free, it’s time to tap into HubSpot’s free customer relationships management (CRM) and sales functionalities. HubSpot's free CRM and sales tools can help your organization close the deal, track activity, and provide a seamless experience across the board. Managing your pipeline is a breeze, as HubSpot provides a comprehensive dashboard that lets the entire sales team enjoy a full overview of all activity. It also gives you up to 1 million contacts and users, along with storage space that never expires. Mundane sales tasks are automated, with patient interactions automatically tracked and recorded on the central dashboard. Get a snapshot of all emails, social media conversations and phone calls that have taken place with each lead. Thanks to automatic interaction tracking, you’ll be able to view everything about a lead in a single location. A handy timeline showcases all emails, calls, meetings and notes associated with each lead. Sync the CRM info with HubSpot Marketing and you can personalize your approach based on previous content in which the lead has shown interest. HubSpot is not only an inbound marketing leader when it comes to free tools for healthcare organizations, it also offers free training and certification opportunities. The HubSpot Academy is stocked with a dozen different courses that cover everything from inbound methodology to inbound sales and sales enablement. Each course dives deep into a specific topic, awarding certification upon successful completion. Hands-on learning is another option, with HubSpot’s Projects option. A series of step-by-step guides take you through an entire project’s completion, giving you the chance to learn while you’re moving toward your goals. While medical practices and other healthcare organizations still need to choose HIPAA-compliant technology for storing PHI, you can still take advantage of many of the free tools and resources HubSpot has to offer. Give your website inbound marketing an additional boost with our free guide outlining 11 Must Have Updates to your Medical Website.